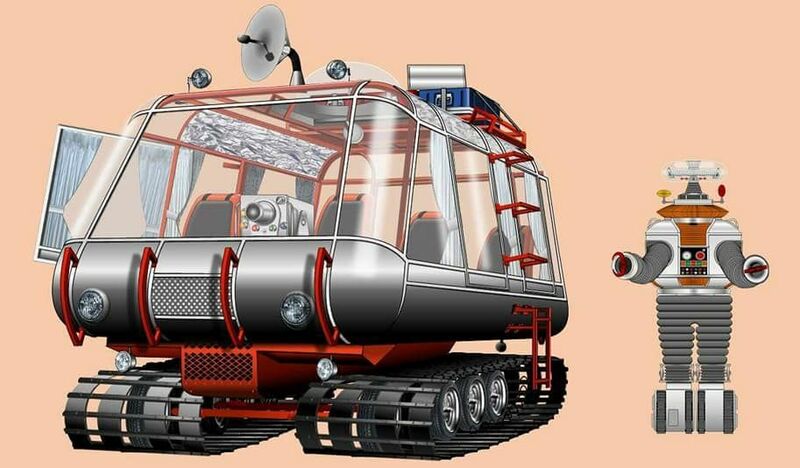 The Lost in Space Chariot was a fully functional vehicle designed and built as a prop for the Lost in Space television show from 1965-1968. You may remember that show: the Robinson family along with heroic pilot Don West are sent on a 5 year mission in "1997" to Alpha Centauri to test new technologies that would save the over-populated planet Earth (a typical 1960s theme � and one that is coming true today). After the original pilot (at the time the most expensive pilot ever shot) and the first couple of shows the writers were re-oriented towards more of a children's show. But we can still appreciate the terrific props � they were very well done (on an early 60's scale � note all the analog electronics) in typical Irwin Allen style. 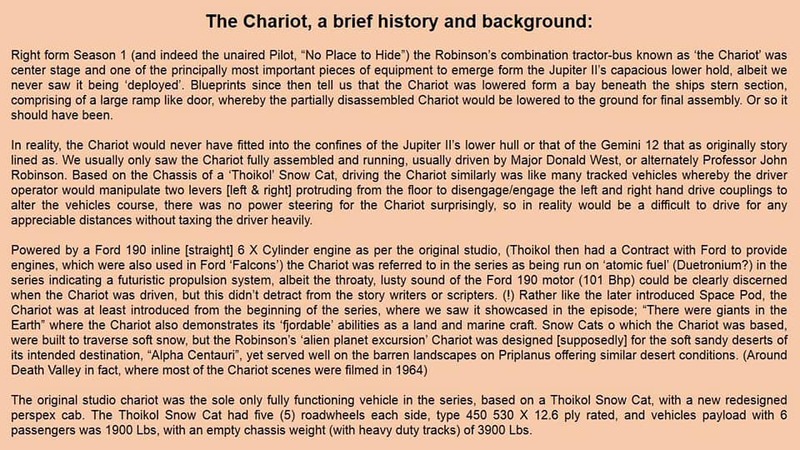 The Chariot was a particularly nice addition to the show, built to transport the family on planetside trips away from the ship. 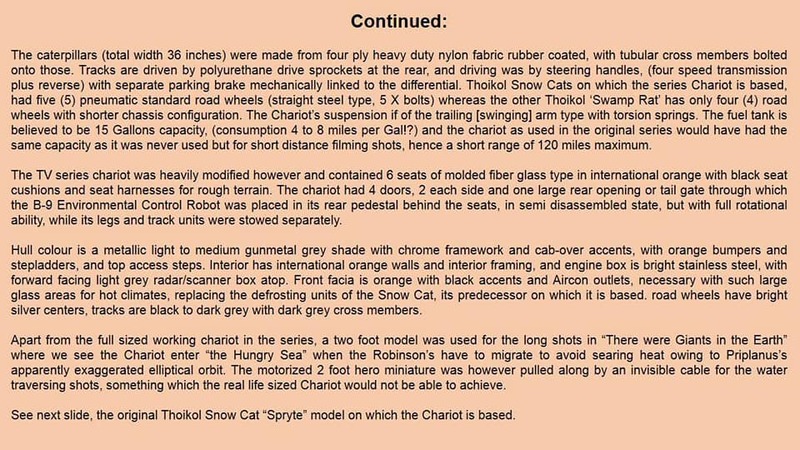 While a series of miniatures was also built for certain types of shots, the full size Chariot was fully functional! It made its first appearance in the original pilot and was lost for many years after the show was canceled. 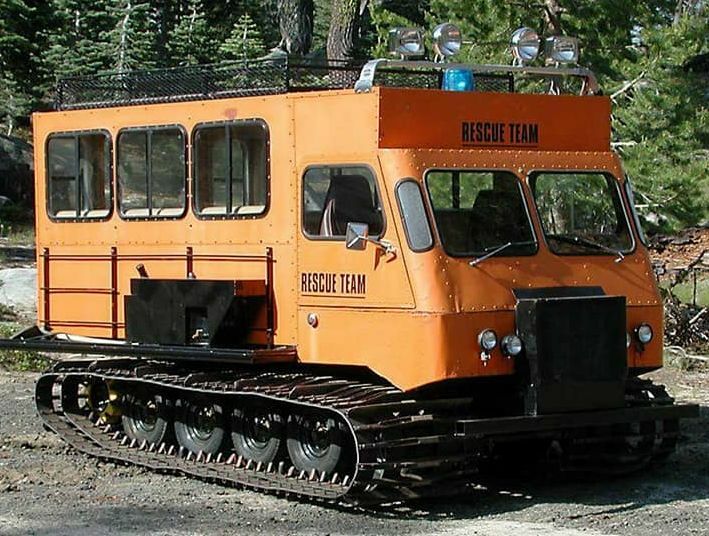 In more recent years, a fellow by the name of Chris Tietz found its remains at a defunct ski resort and started a restoration. The restored Chariot has delighted fans at appreciate shows over the past few years.